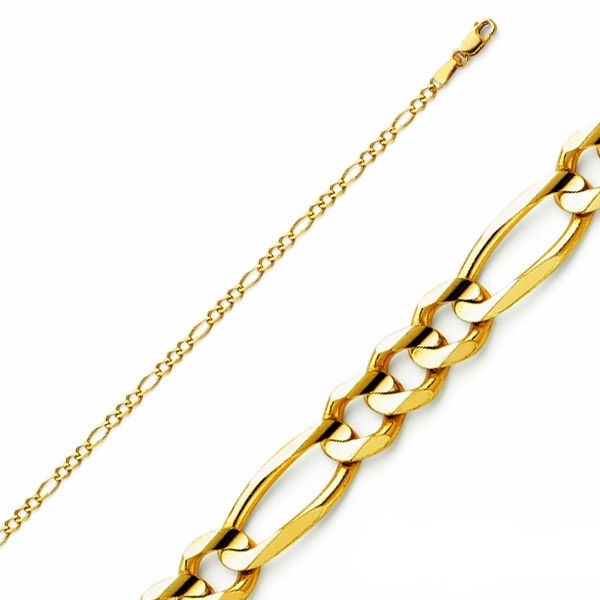 14K Yellow Gold 31 Figaro Link Bracelet or Chains Description This Figaro 31 link bracelet is crafted in polished 14K Yellow Gold and is a classic beauty. 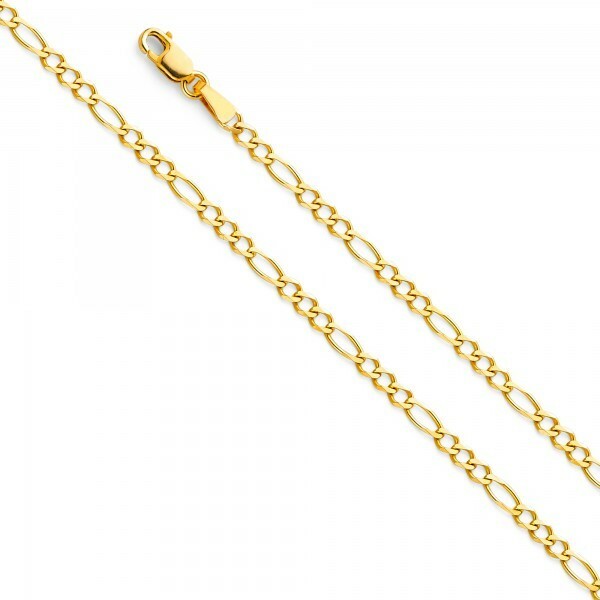 It has a width of 2.7mm and the bracelet measures 7 inches long. 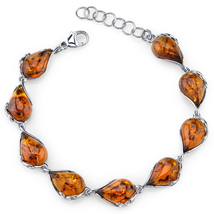 It is certainly and eye catcher without being to extravagant. 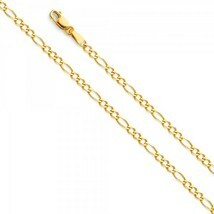 Beautiful gift idea for the woman who appreciates simplicity and timeless jewelry. Item Specifications: 14K Yellow Gold Gram Weight 7" Bracelet - Approx 1.7 grams 16" Chain - 3.8 grams 18" Chain - 4.1 grams 20" Chain - 4.5 grams 22" Chain - 4.8 grams 24" Chain - 5.1 grams Width: 2.7mm Secure Lobster Claw Clasp Have a Nice Day!